It is very wrong to consider pets as mere cuddly companions because there have been pets that have done certain great jobs and have taught people some of the best lessons in life. There are many pets that have served to be of great value between the life and the death of an individual. Check out these 11 amazing hero pets that have been courageous and have risked their own lives to save the lives of others. The Doberman named Khan rescued the life of little Charlotte Svillicic from a venomous brown snake. Khan tried to move the toddler but when it did not succeed in doing so, Khan picked up the infant with the help of her diaper. This movement of the child was startling for the snake and it bit Khan but Khan was able to recover completely by taking an antivenin. Buddy is the German Shepherd adopted by Joe Stalnakar and trained to use the phone when Joe experienced seizure symptoms. Buddy is successfully trained in using his teeth for calling the emergency responders by hitting the speed dial button. 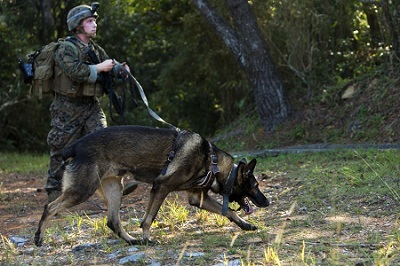 Buddy used his training successfully in 2008, by calling the emergency responders who arrived only to find Stalnakar unconscious and took him to the hospital where he recovered. Hannah Kuusk was saved by a parrot named Willie when he found the 2-year-old Hannah’s face turning blue. The parrot started screaming and flapping its wings and this made the baby sitter recognize the danger the girl was in. Later Willie got the Animal Lifesaver Award for this brave deed. Winnie started meowing when a water pump was found leaking carbon dioxide that was odorless in a Keesling home. This was a great deed done by the cat because precautions were taken at the correct time and nobody was harmed because of this. The German Shepherd of Ben Heinrich was of great help when the anchorage of the owner caught fire and he shouted for help. This German Shepherd found a trooper standing on the road and took it for the rescue of the people that were stuck in the fire. Shrek was very courageous in fighting with a fox that was about to kill Maxim Kurguzov, who was a 10-year-old boy playing in the yard. Shrek is therefore considered as one of the best among the 10 amazing hero pets of all times. An intruder was chased and then spooked to escape by D-Boy who was a Pitbull tamed by Roberta Trawick. D-Boy came charging and forced the intruder to escape when the intruder attacked Roberta Trawick in Oklahoma City. Pudding brought owner Amy Jung back to a state of consciousness by pouncing on her stomach when she experienced a seizure. Kirby successfully rescued a man from the rubble of a demolished building by making use of his boots that were meant for protecting the paws. Kilo took a bullet that was speeding towards his owner Justin Becker during a robbery that took place in an apartment. The cat named Fridge was able to save its owner’s life by hinting about the cancerous cell that was possessed by its owner Wendy Humphreys. This was done by the sixth sense of the cat and therefore this cat is also taken as one of the most significant among the amazing hero pets.